The Skindinavia brand was founded in the most unlikely place – in a nightclub. Cosmetic industry veteran Allen Goldman observed that women often struggled to keep their makeup in place while they were in a sweaty night club, under the hot lights. Goldman had the idea that if he could keep the makeup from heating up so much he would also be able to prevent makeup from melting off. Bringing on board some of the world’s top pharmacists, Goldman founded a new technology of control temperature that allowed for time released cooling to occur when it was needed on the surface on the skin. 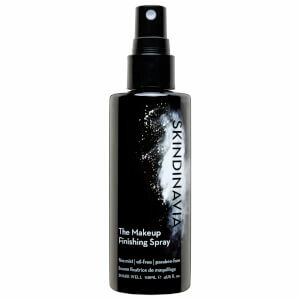 The first Skindinavia Makeup Finishing Spray in 2007 in LA film and TV studios. This included Vegas Show Girls performing in scorching temperatures. Skindinavia Makeup setting sprays are now the #1 choice of makeup artists worldwide. It’s easy to see why, as it is the only makeup setting product that’s been clinically tested to have a 16 hour hold. 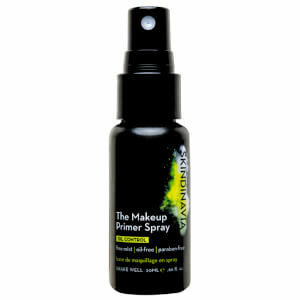 Skindinavia sprays now come in three different formulas and also contain two priming sprays. Try: The Makeup Finishing Spray – Oil Control, to absorb excess oils and keeps your makeup fresh and flawless OR The Makeup Finishing Spray – Bridal, designed to resist the effects of excess moisture on your makeup as well as stress reduced shine and keeps makeup camera ready for up to 16 hours. Try: Makeup Primer Spray for a smooth, silicone free canvas for flawless makeup application and increased makeup longevity.